The Duke of Edinburgh announced in an interview to mark his 90th birthday in June that he was ‘winding down’ his official responsibilities, as a senior member of the Royal Family. Despite the announcement, he reduced his public appearances by less than eight per cent last year. Tim O’Donovan, who compiles an annual survey of Royal workload, said that the Duke is on course to have completed around 330 public engagements in 2011, at home and abroad. In 2010 the Duke performed a total of 356 public engagements, according to Mr. O’Donovan which the Buckingham Palace concurred. The Duke’s next official public engagement is on Jan 17 when he attends a dinner at the Scott Polar Research Institute in Cambridge. 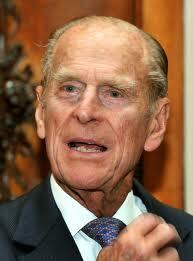 But Royal aides said that he is likely to resume his behind-the-scenes work before then. “The Duke will be undertaking his private paperwork and preparation work and so forth,” a Buckingham Palace spokesman said. “It has had a very marginal effect thus far, but hopefully next year we will see a very substantial decrease in his workload,” according to Mr. O’Donovan, from Datchet, Berks.